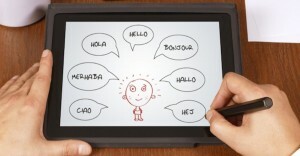 Is English the one true language for the enterprise IT industry? Are languages or physical locations even important anymore? Coming to you live from VMworld Europe, your fellow Geek Whisperers discuss how location and language impact our tribe of social Technologists. We’re joined by two vExperts: Craig Waters, podcaster and Melbourne VMUG leader as well as Gregg Robertson, AMEA vBrownBag host and London VMUG contributor. One theory of how these variables impact our particular community is outlined below. Our communities fracture on the lines between location and language, though always come together as we speak geek. Do you have a story of the impact of localization – positive or negative – on one of your communities? We’d love for you to share below or tweet us!